Children know what’s truly important. They value animals, both exotic and familiar. They want to have trees to hug and climb on, fresh air to breathe. The book Ivy and Bean; What’s the Big Idea highlights that natural inclination that children have to care about nurturing our environment. 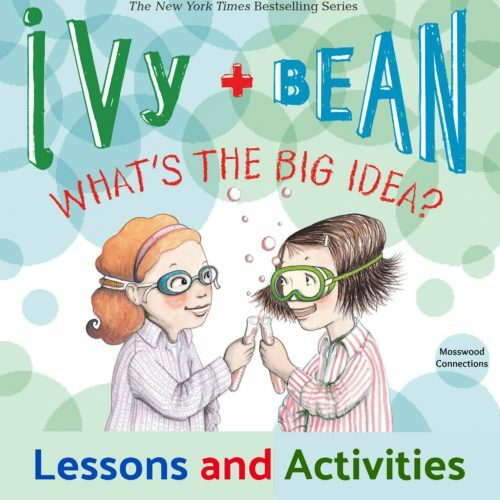 A Teacher’s Guide for Ivy and Bean: What’s the Big Idea? It’s the Science Fair, and the second grade is all over it! Some kids are making man-eating robots. Some kids are holding their breath for a very, very long time. Some kids are doing interesting things with vacuum cleaners. The theme, obviously, is global warming. But what should Ivy and Bean do? When it comes time for the class science fair Ms. Aruba-Tate makes a model statement: “People who care as much as you do are the people who will find solutions to the problem…. Science is the solution, not the problem.” Ms. Aruba-Tate suggests they make this the theme for their science fair projects–ideas that fight global warming. To extend the learning while we read the book we have put together extension activities to create a study unit on climate and global warming. Ivy and Bean What’s the Big Idea? (Book 7) (Ivy + Bean) has been rated at Reading Level: M and suited for children in grades 2-4. Turn your smartphone into a DIY microscope. Explore solar science by making a DIY Solar Oven. Planting native plants help our environment. Think about Creating a Butterfly Garden. Recycling is a big part of preserving our global climate. Do craft activities like making a woven basket from recycled clothes or use scrap paper to make Wildflower Seed Bombs. Explore climate science on the NASA Climate Kids page. If you could be any animal in the world, what would you be? Write a paragraph about how you would spend your days. Leo loves sports. Ivy loves reading. Bean loves…getting into trouble. Write about what your favorite things to do on Saturday. Bean gets bored so she goes looking for treasure. Write about what you do when you are bored. Pretend that you are as small as an ant. Write about what you see and feel. The kids like the state of Colorado. Write about your favorite state. Has anyone ever bullied you? Have you ever bullied someone else? Write about it. Do you have a best friend? Do you think that it is important to have a best friend? Write about why or why not. What do you think makes grown-ups happy? What do you think makes kids happy? Write about what makes you happy and if it is different from what makes grownups happy. Write about a time that you spent out in nature. 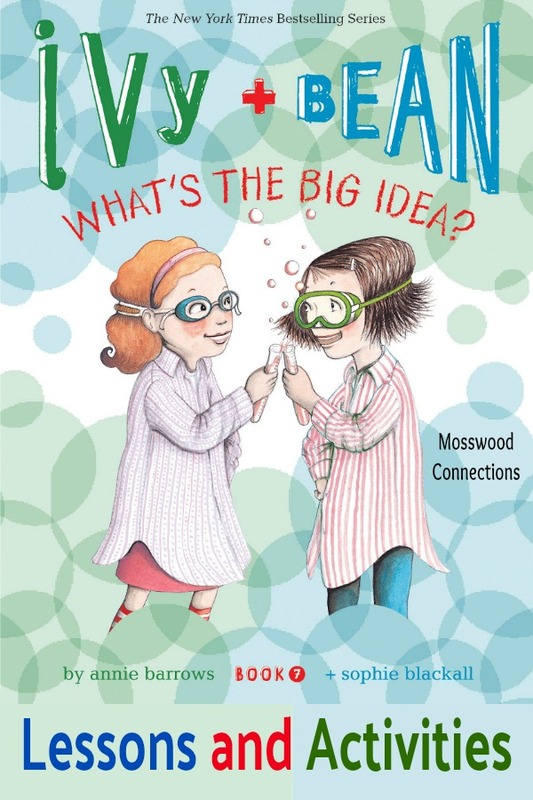 For Standards, Vocabulary, and Discussion Questions for Ivy and Bean; What’s the Big Idea? download our full curriculum guide. Amelia’s Notebooks by Marissa Moss follows Amelia from elementary school to middle school. As Amelia grows we can relate to her growing pains, which are always written about with humor and insight. The problems that Amelia faces in the series are familiar to many children. The Indian and the Cupboard Lesson and Activities by Lynn Reid Banks- It was easy to come up with a wealth of The Indian in the Cupboard by Lynne Reid Banks Lesson and Activities. The book is rich with concepts and topics to discuss from magic to history to friendship and this book will enthrall even the most reluctant reader. Wilcox and Griswold Mystery: The Case of the Missing Carrot Cake by Robin Newman – Full of jokes and lively illustrations this book is a wonderful beginning chapter book and it is sure to entice reluctant readers. How to be Human; Diary of an Autistic Girl by Florida Frenz (AKA Georgia Lyon) The lessons in this guide are a roadmap to a treasure trove of social skills activities that we have used for years in our work with children on the autism spectrum.